The state government in Jharkhand is in the process of formulating new guidelines to better regulate the medical private practice in Ranchi. A notification will be signed and issued by health secretary K Vidyasagar on the new guidelines next week. The one notable thing being the restriction on doctors from being associated full time with private nursing homes. Under the new scheme of things, the private doctors at the nursing homes and clinics will require doctors presence at the government health establishments during duty hours. As a result, they will be restricted from running their full-fledged private practice. So, there is not a blanket ban on such private clinics, which come under the purview of the district hospitals and Jamshedpur and Dhanbad medical colleges. In addition, a new norm will be implemented to strictly monitor the practice of such private clinics with only basic clinical equipment. No use of diagnostic and pathological equipment will be allowed at such private clinics. There can be no full-fledged establishment in the doctor’s name or even in the name of their relatives or kin.The health department will also closely monitor the situation of any kind of practicing in government residences provided to the doctors or within 500 metres from their places of posting. “The idea is to ensure doctors’ presence at their respective stations during duty hours,” Vidyasagar told TOI. He said the doctors cannot miss outpatient department (OPD) duty under any circumstances and not engage in private practice during duty hours. According to sources in the department, the idea of a blanket ban which also included rolling out non-practice allowance (NPA) was dropped after initial deliberation. “It is not easy to get the doctors away from private practice at one go for it is engrained in the system,” a senior health department official told TOI. “There will also be a monitoring mechanism in place. We will set up a crackdown team, which will conduct surprise raids to check whether doctors are following the practice,” he said. However, the new regulations do not cover the Ranchi Institute of Medical Sciences (Rims) as the latter is an autonomous body. “We will form another set of guidelines to address Rims,” Vidyasagar said. 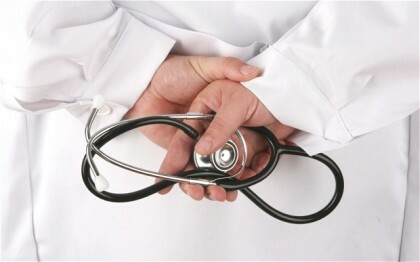 The new guidelines, many believe, will be able to make little difference to private practice by doctors. Health minister Ramchandra Chandravanshi had earlier this year talked of a ban on private practice by government doctors. But the department found no change in scenario, with four doctors being suspended in Santhal Pargana for being away for private practice on duty but were later reinstated for lack of evidence.